Clarins is committed to protecting your privacy and to respect all relevant legal provisions. 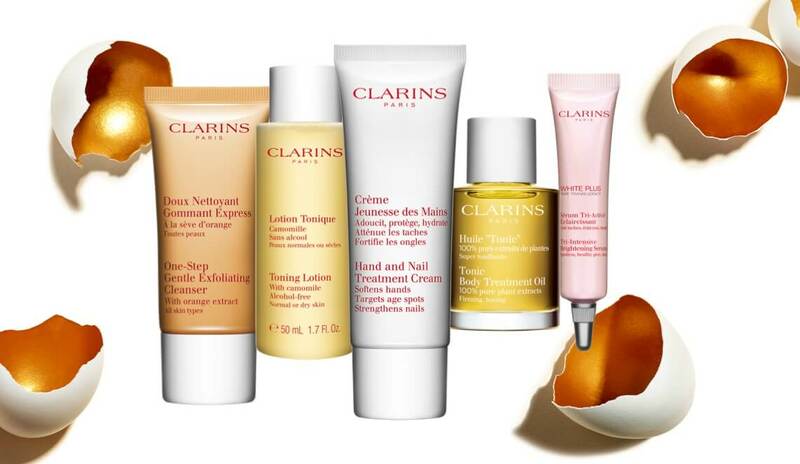 Clarins UK Ltd whose registered office is located 10 Cavendish Place, London W1G 9DN, United Kingdom and Clarins SA whose registered office is located 9 rue du Commandant Pilot, 92200 Neuilly-sur-Seine, France are joint data controllers for the website www.clarins.co.uk. 2 - When does Clarins collect your information? 3 - What information do Clarins collect about you? 4 - Why are your personal information collected? Managing your request (complaints, right to access, rectify, oppose and remove, etc. ); This processing is necessary to process your request. With customer consent, third party retailer opt-in information will be obtained and relevant information shared with approved third party retailer (email, first and last name). 5 – Does Clarins disclose your personal information? We never share your personal information with other companies for marketing purposes unless prior consent is provided. Consent may be given to share your personal information with an agreed third party retailer during your Clarins Connect consultation. If you receive a Clarins Connect Consultation and agree to hear from your home store* third party retailer then your personal information (first/last name, email address) is shared via a secure transfer to that agreed third party retailer. All transfers of customer data use methods that adhere to data protection laws. Clarins is an international group that operates in many countries. The personal information we are collecting about you are intended to Clarins and are will be likely to be communicated to all the Clarins Group companies and to service providers chosen for their expertise and reliability and acting on our behalf and at our direction (IT providers, customer service, delivery, etc.). We authorize these service providers to use your personal information only to the extent necessary to perform services on our behalf or to comply with legal requirements and we strive to ensure that your personal information are always protected. to comply with Binding Corporate Rules (BCR) approved by competent authorities. Finally, we may also transmit your personal information to local authorities if required by law or as part of an investigation and in accordance with local regulations. 6 - How will Clarins protect the information about you? Clarins takes appropriate technical and organizational measures, in relation to the nature of data and risks, to preserve the security and confidentiality of your personal information and, in particular, to prevent them from being deformed, damaged or transmitted to any unauthorized parties. This may include practices such as retaining your personal information on a secure server protected by a firewall, the transmission of sensitive information (such as credit card number) using a secure encryption protocol (Protocol SSL), internal reviews of our practices and privacy policies and implementation of physical security measures to protect against unauthorized access. 7 - What is the policy about minors? This website www.clarins.com is not aimed at minors. We do not knowingly collect nor process personal information from children under the age of 18. Assuming we would have knowledge of the collect of personal information from minors without prior authorization from the holder of the parental responsibility, we would take appropriate measures to delete this personal data from our servers. 8 – What is the cookies policy of Clarins? 9 - For how long are your personal data kept? Customer / prospect data will be kept for three years from the date of collection or after the last contact or the end of the commercial relationship, unless opposed by you. At the end of this three-year period, we may make contact with you again in order to find out whether or not you wish to continue to receive marketing approaches. If no clear positive answer is given by you, your data will be deleted or archived in accordance with the provisions in force. Data to prove a right or a contract, or kept under compliance with a legal obligation can be archived in accordance with the provisions in force. 10 – Your rights regarding personal data and how to contact us? If you give us your email address, phone number or mailing address, you may receive emails, calls or periodic messages from us about our products, services or upcoming events. You can unsubscribe at any time from our mailing lists by contacting us at the address below or by following the link "unsubscribe" contained in each of our emails. You can also change your preferences at any time in your account. You will be informed of the actions to be taken as soon as possible and in any case no later than one month after your request. However we reserve the right not to respond to manifestly unfounded or excessive requests. In accordance with the provisions in force, you can also file a complaint with the competent authority responsible for data protection or lodge an appeal if your data are misused.